Bring the kids out for some fun and healthy play time in our structured supervised gym. They can try out all the low equipment including the spring floor, trampolines, low bars, low beams, and foam pit. Our staff will be there to watch over them while they explore all our gym has to offer. Open gym is available every 1st Friday of the month. Ages 18 months – 4 years go from 6:00 – 7:00p.m., and the cost is $5. Ages 5 – 18yrs go from 6:00 – 8:00p.m., and the cost is $10. Bring your children by and let us give you a break! Pre-School Open Play: Every Thursday 11:00a.m. – 12:00p.m. Cost is $5. Parent will go in the gym with the child. Obstacle courses will be setup! Come out and play! Open gym is an opportunity to come and practice all those fun gymnastics skills being learned in classes. Throughout the year, we offer Open Gym for athletes to come and work on skills they would like extra help with from our staff. Athletes not enrolled in current programs are welcome for an additional fee. 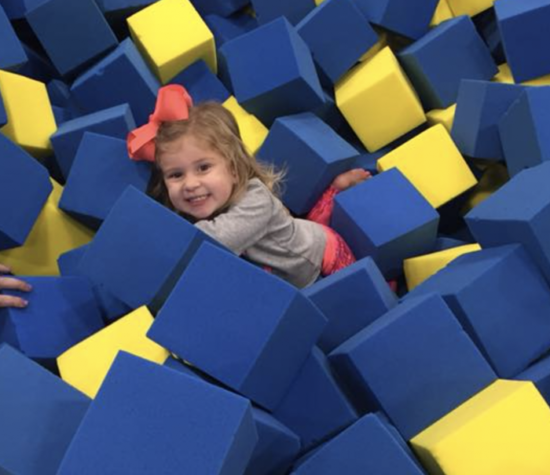 During Open Gym kids can jump on trampolines, bounce on tumble-tracs, play on the spring-floor and jump around on the mats under the supervision of experienced coaches. Open Gym is a great opportunity where parents can drop kids off and get some of that valuable alone time. 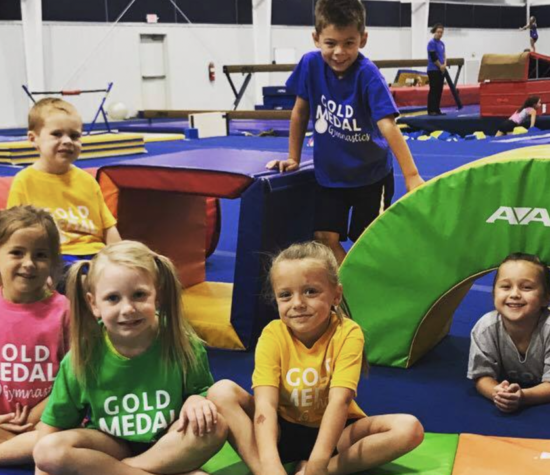 Gold Medal Gyms offers your child creative and fun ways to stay fit. Open Gym is a program where children have the opportunity to explore the fascinating world of physical activity and movement. Our professional staff supervises activities to ensure a safe and fun learning environment. A spacious playground where your children can jump, climb, bounce, and play. Open gym is another great opportunity for children to discover the benefits of active play while having a great time with their friends.